Both the Chicago Artisan Market and the Oak Brook Artisan Market are carefully curated to ensure a high-quality experience for shoppers & vendors alike. We do not charge an initial application fee. Each artisan’s work will be evaluated based on quality, authenticity, originality, marketability and overall balance of other artisans accepted within your category. Spaces are only guaranteed once payment is received. We accept vendors on a rolling basis. Each category has a limited number of vendor spots which do sell out. Images: Please submit images for consideration to admin@stylechicago.com with the name of your business. If you experience technical issues or want more info, please call us at 312.461.9500 or email your responses to admin@stylechicago.com. What type of space at Morgan MFG? Vendors at the Oak Brook Artisan Market must bring their own 10' x 10' white tent. If you are interested in sharing a tent space, the fee would be $395 per 10' x 10' tent space. All vendors must be approved. Please contact us with any questions. Where & how are your products made? Will the maker or owner of the business be present at the market? If the owner will not be at the market, please explain who will be representing your brand. May we use images from your social media, website and application for promotional purposes? 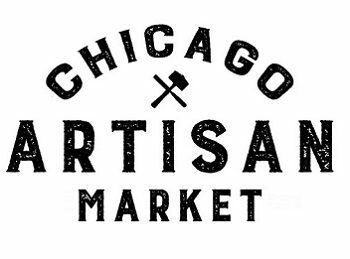 Have you participated in a previous Chicago Artisan Market? Yes, please use our previous application since our business has not changed materially. (If you mark "yes" here, you may hit "Submit" button now.) Yes, but please update my information (e.g. contact info, products sold or promotional description) with the details I provide below. No, I have not previously participated in Chicago Artisan Market and am filling out the rest of the application below. Tell us about what you sell? What will you be doing at the market?